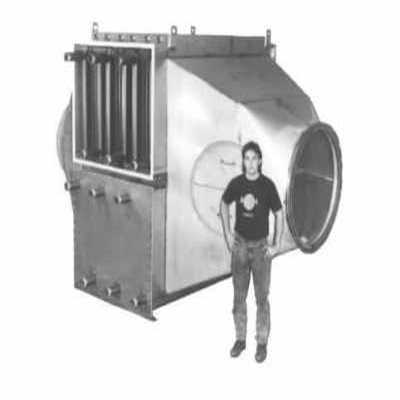 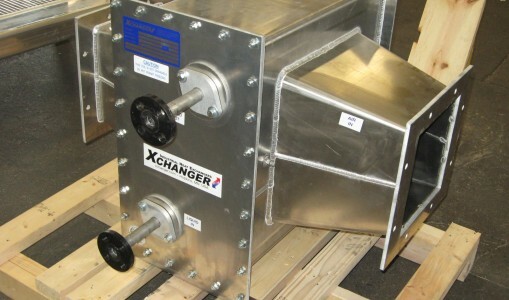 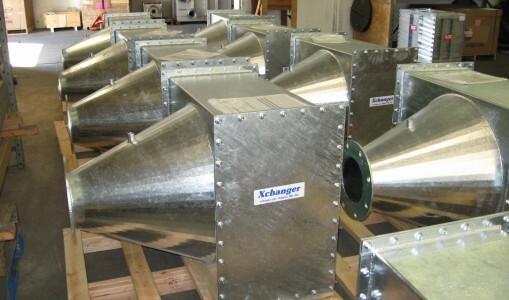 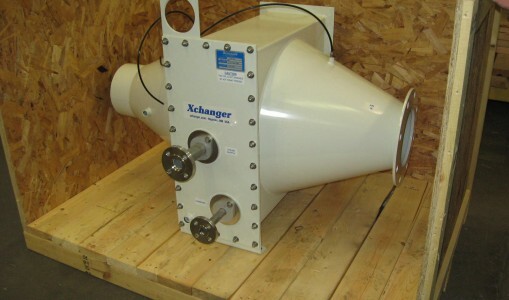 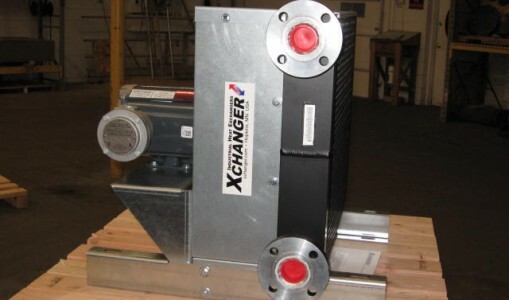 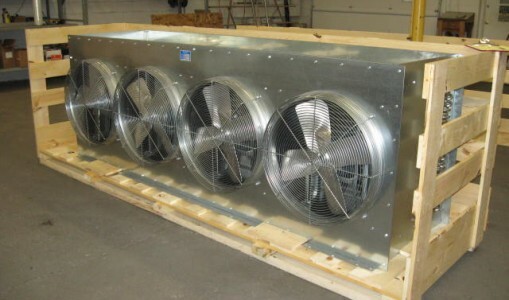 The pictured heat exchanger cools 24,000 SCFM from 210°F to 124°F using 180 gpm of 87°F cooling water. 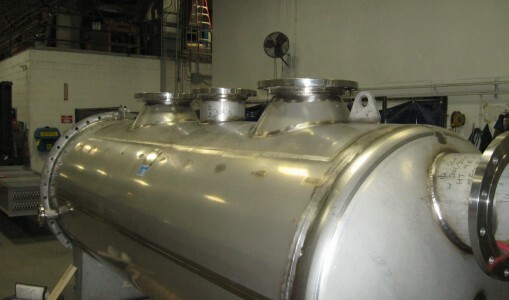 At room temperature, the oils being recovered in this process will congeal and solidify, so this heat exchanger also circulates 130°F water beneath the condensate pan to keep the viscous hydrocarbons flowing freely to a drain port. 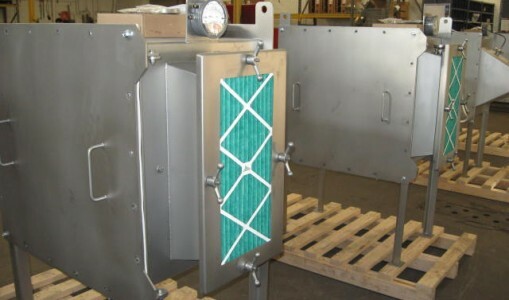 This C Series features six baked phenolic cores to mitigate the impact of corrosion and a steam injection system to keep the heat exchanger clean by removing residual oils that condense on the cold surfaces during system downtime. 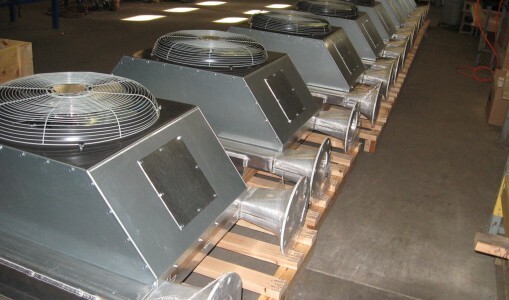 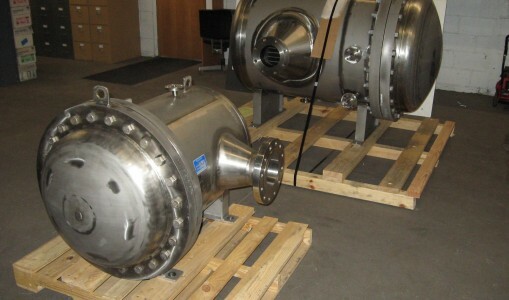 The housing is type 304 stainless steel and includes man-ways on both sides for ease of maintenance. 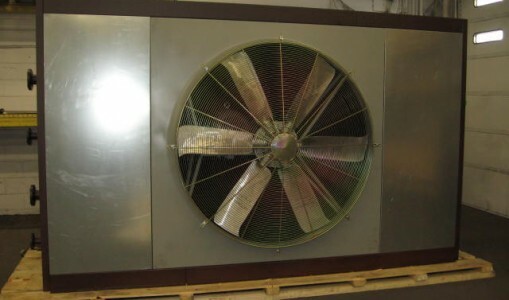 All internal cores are removable for even more thorough cleaning.